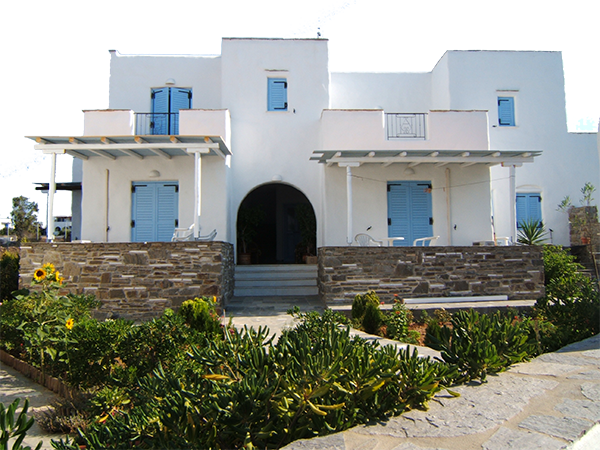 Ikia has at your disposal studios and appartments of various sizes, with a fantastic view and authentic surroundings. Ikia is a large family villa built in 2001. Especially design and decorated in respect of the traditional architecture style of the Cyclades, i twill provide you the ideal setting for perfect holidays ! It’s up to you to make most of it. All studios and appartments are equiped with a kitchen and a cleaning room service.